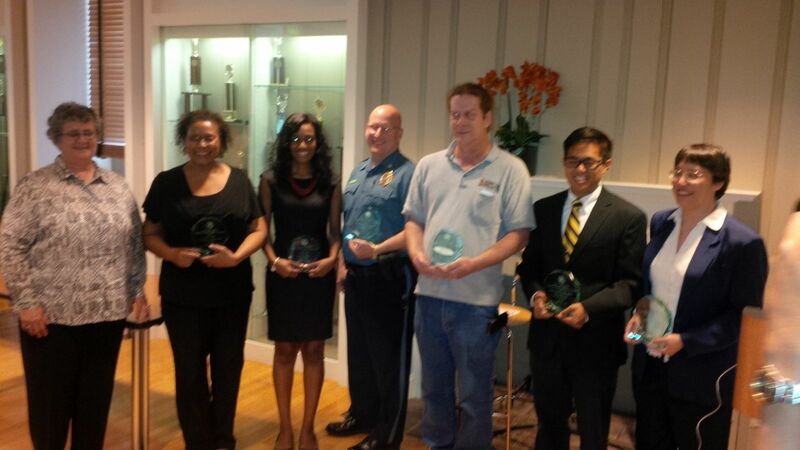 University of Maryland Police Detective MPO Chris Iversen was recognized as investigator of the year at today's Police Chief's of Prince George's county award ceremony in Glenarden. Detective Iversen is a 4 year veteran of this University and a graduate of this University. Detective Iversen has been involved in a large amount of high profile cases, including spearheading the Alexander Song case in which Song threatened widespread violence on the campus. Also honored today was Howard "Spud" Blake, UMPD's chief of staff. He was given the Hall of Fame award due to his many years of dedication to law enforcement. 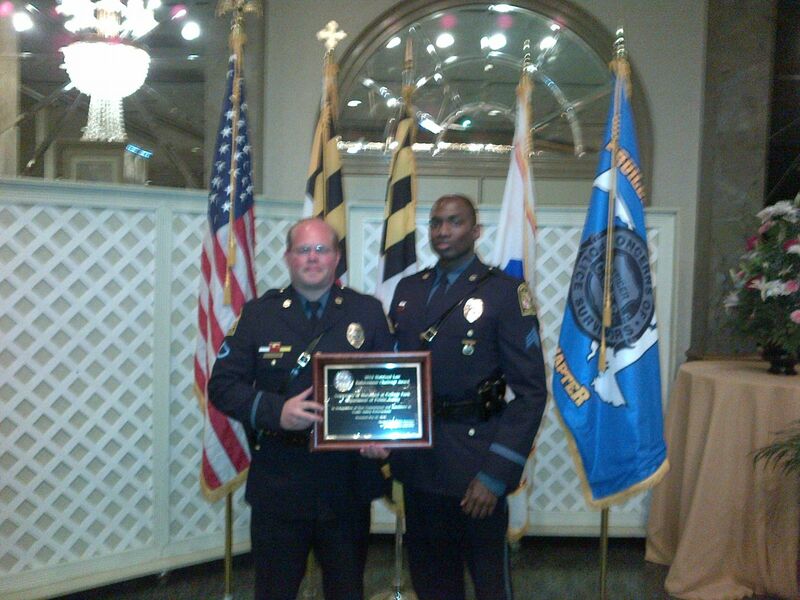 He was appointed as UMPD's chief of staff in 2010 and prior to that he attained the rank of Deputy Chief with the Prince George's County Police Department. 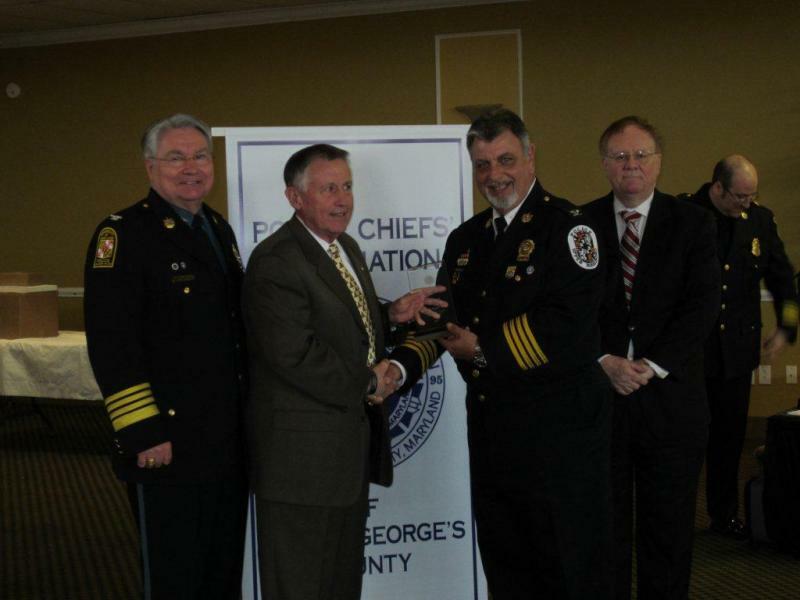 Among his many accomplishments, he led the PGPD narcotics unit where they shut down 21 PCP labs. Also nominated for awards were Sergeant Aaron Davis for officer of the year and Ms. Ashlee Parker for civilian employee of the year. We are very proud of our employees and their accomplishments. Please join us in congratulating them on the hardwork and for many more years of exemplary work. The University of Maryland, M-NCPPC Parks & Recreation and the City of College Park invite you to participate on the 2nd Annual Good Neighbor Day. This event will be held on Saturday, April 6, 2013 at the College Park Community Center from 9am to 1:30pm. Your participation is also encouraged by dropping off non-perishable goods on several location on campus from March 15 thru April 6th and at the College Park Community Center, 5051 Pierce Avenue, on Good Neighbor Day. 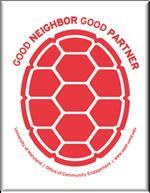 For more information and to register as a volunteer, please go to www.goodneighborday.umd.edu. Please let me know if I can place a box or boxes in your location. Please share this message with your network. Thanks. 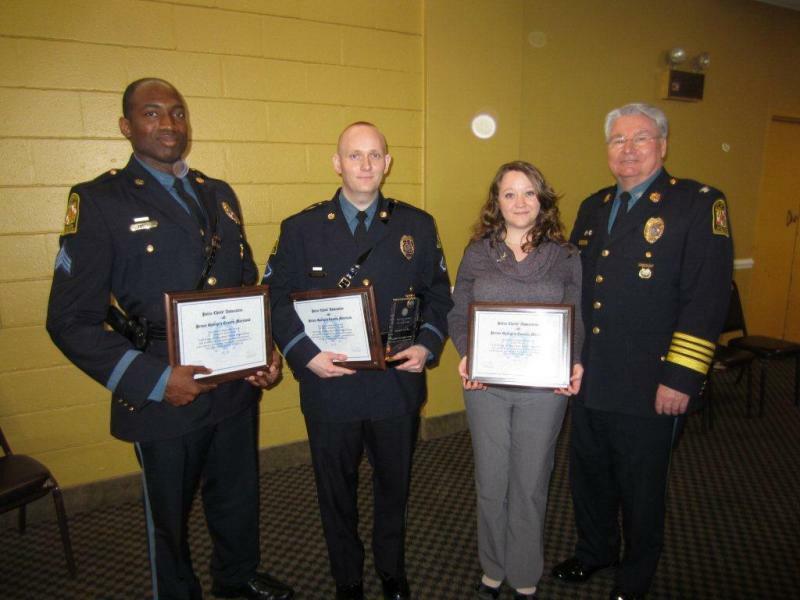 On 03/13/2013, Chief David Mitchell honored both civilian and sworn employess in the 2013 Award and Promotion ceremony. Over 200 employees were recognized for their promotions and for their exemplary dedication to their jobs. Awards were handed out for many things such as the quick action taken by numerous members of this department in the Alexander Song case to the life saving actions taken by officers save the life of individuals who were invovled in a near fatal accident. While there is no way to properly reward the many employees of this UMPD for all that they do for the College Park community and for their dedication to the safety and security of all of it's residents, this award / promotion ceremony was an opportunity to show those employees that they are appreciated for the hard work they do. The University of Maryland Police Department will be conducting DUI Saturation patrols on Friday March 15th, 2013 and Saturday March 16, 2013. The purpose of the saturation patrols is to detect and arrest people driving while under the influence of alcohol, driving while impaired by alcohol, and/or driving while impaired by drugs. 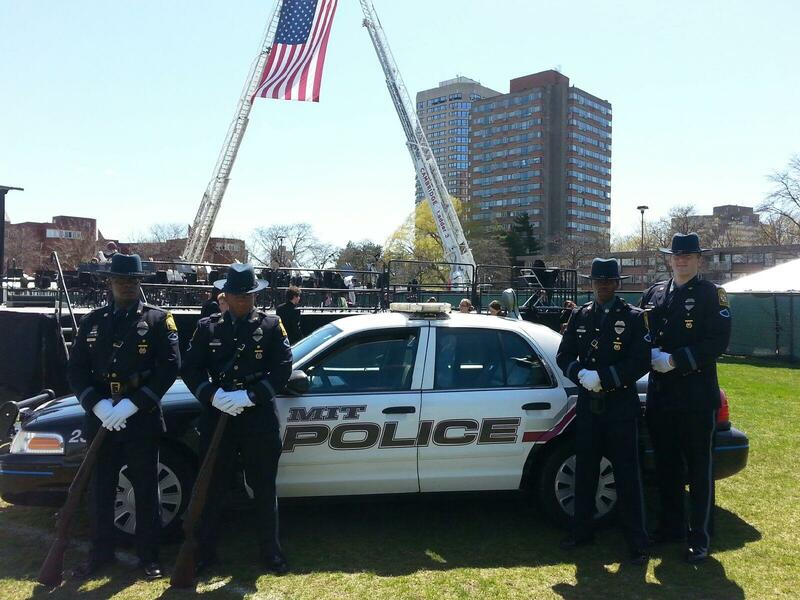 The University of Maryland Police, along with police agencies throughout Maryland, remind you ... DO NOT drink and drive. DO have a happy and safe St. Patrick's Day and Spring Break! 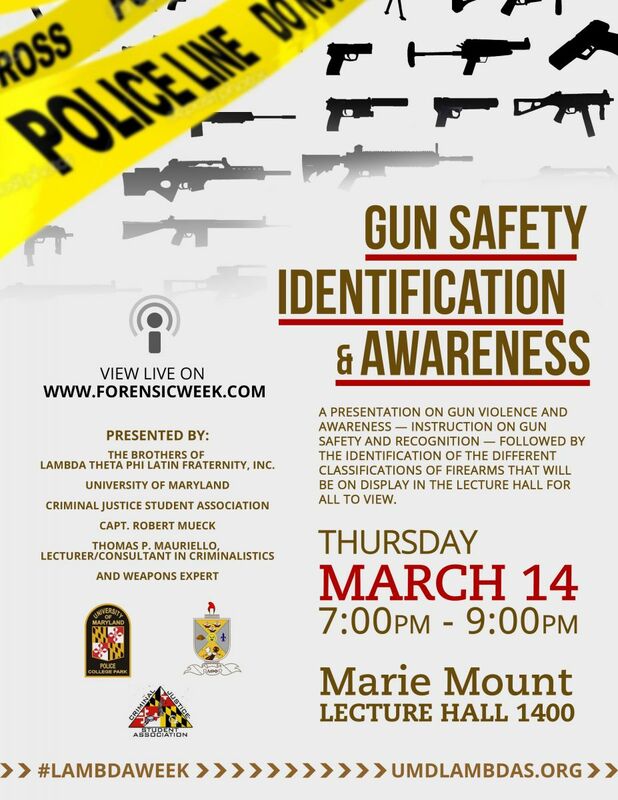 Professor Tom Mauriello and representatives from the University of Maryland Police Department will be holding a presentation to discuss gun violence andto provide information on gun safety and awareness. This will be located at 1400 Marie Mount Hall on tonight (3/14) at 7:00 P.M. and will last until 9:00 P.M. This event will also be broadcasted on Professor Mauriello's webcast show "forensicweek.com" live. This event will also be found on the YouTube channel of the same name after the event. The National Weather Service has issued a Winter Storm Watch for the Baltimore-Washington area—meaning there is a potential for significant snow, sleet, or ice accumulation--in effect from Tuesday evening through Wednesday evening, with the possibility of snow accumulations of more than five inches and a potential for significant snowfall within the watch area. Officials forecast precipitation mixing with and changing to snow Tuesday night and continuing into Wednesday evening with temperatures in the lower and mid-30s and winds 10 to 20 MPH with gusts up to 30 MPH. Uncertainty remains with the track of the low pressure front and location of the rain-snow line which ultimately will determine snowfall totals. Potential impacts include difficult driving conditions, heavy, wet snow, and gusty winds leading to power outages. The Washington Post’s Capital Weather Gang has dubbed this storm “Snowquester;” though meteorologists continue to watch the forecast models to assess potential accumulation, there seems to be consensus that there will be snow Wednesday. 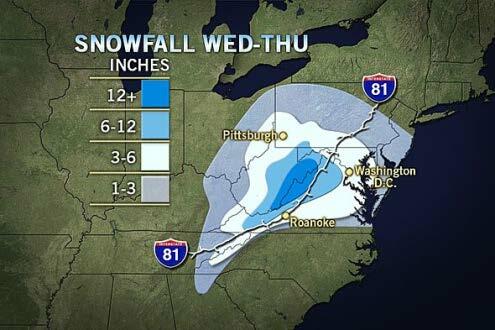 The Weather Channel has dubbed this Winter Storm Saturn, and predicts significant travel impacts to include flight delays that may ripple through the East Coast through Philadelphia, New York, and Boston, even if significant storm impacts remain in the Mid-Atlantic area. 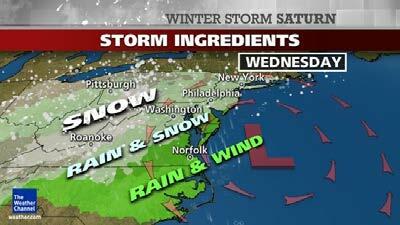 Snow is likely Wednesday, with rain or snow mainly east of I-95. The snow could be heavy at times. But if the storm tracks too far south, lighter precipitation would be expected, and more rain may mix with the snow, even west of I-95. Snow and/or rain tapers off Wednesday night, with lows 30-34 (suburbs-city). Note: The low end of the ranges apply to D.C./I-95 and points east, while the higher end of the ranges apply to areas west of D.C. and I-95 (where the accumulation potential is greater due to colder temperatures).